Szelestfest V will be on March 31st at Sportsmen’s Tavern. More details coming soon! 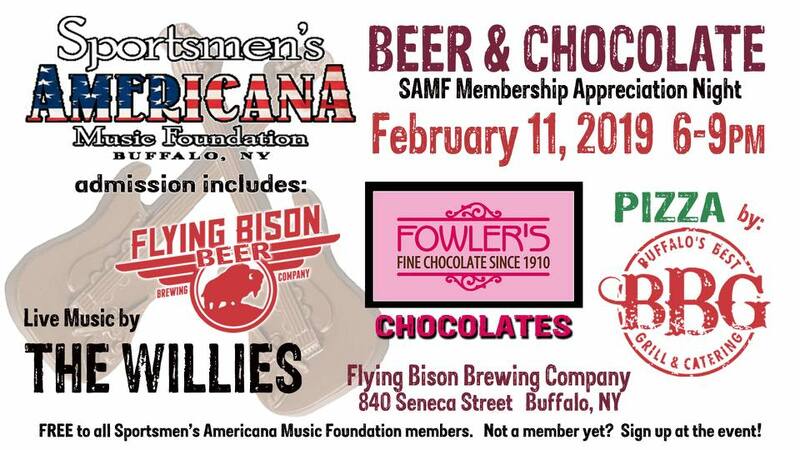 The Sportsmen’s Americana Music Foundation’s Annual Membership Appreciation and Membership Drive event, Beer & Chocolate takes place on Feb. 11 from 6 p.m. to 9 p.m. at Flying Bison Brewery….